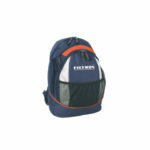 Advertising backpacks are one area of our specialized expertise. We offer models with a classic cut and with a modern cut, tailored to the customer’s needs. Enriched with a logo or slogan, they are an effective element of brand promotion regardless of the industry. Our backpacks are characterized by above-average quality, original design and stylistic solutions. We are certainly able to meet the requirements of customers thanks to the large selection of offered products. We are able to design an advertising backpack from scratch according to the ordering party’s guidelines, matching the style, color choice and design to the company’s logo. We operate quickly and efficiently. The backpack is an inseparable part of everyday life – ideally suited for school, training, picnics, trips out of the city or for holidays. 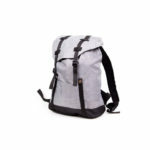 The range of our products includes backpacks for children, teenagers and adults. The common element of the offered backpacks are ergonomically profiled, adjustable braces ensuring comfort of use. Their practical sports and tourism applications are sure to be appreciated by both older and younger people. 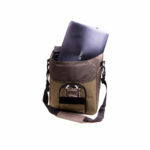 Our advertising backpacks are designed for demanding customers. They deserve attention due to their aesthetics, durability and resistance to damage. We invite you to familiarize yourself with the details of our offer which includes not only advertising backpacks but also pouches, sailing bags, fanny packs and much more.